If your school's homecoming king had a little too much in common with Henry VIII, would you survive with your head still attached?You'd think being the new girl in a tiny town would equal one very boring senior year. But if you're me--Annie Marck, alias Cleves--and you accidentally transform into teenage royalty by entering Lancaster High on the arm of the king himself? Life becomes the exact opposite of boring.Henry has it all: he's the jock, the genius and the brooding bad boy all in one. Which sort of explains why he's on his sixth girlfriend in two years.What it doesn't explain is why two of them--two of us--are dead.My best friend thinks it's Henry's fault, which is obviously ridiculous. My nemesis says we shouldn't talk about it, which is straight-up sketchy. 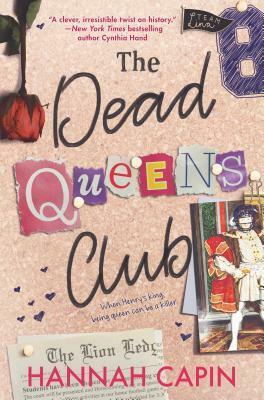 But as the resident nosy new girl, I'm determined to find out what really happened to Lancaster's dead queens...ideally before history repeats itself.